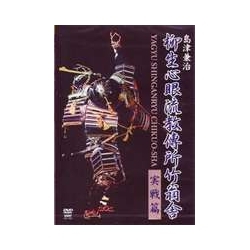 DVD Hokushin itto ryu - KONISHI Shigejiro. Very realistic Kenjutsu. 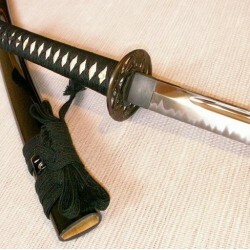 This ryuha comprises techniques of Kenjutsu, Naginajutsu and Iaijustu. 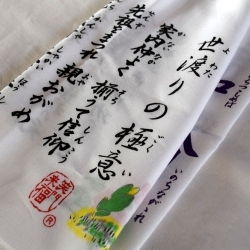 Shigejiro KONISHI is the 5th successor of Hokushin Itto-ryu and the director of Genbukan dojo. Hokushin Itto ryu was created by Shusaku CHIBA (1793 - 1856), pupil of Yoshinobu ASARI (master of Nakanishi ha itto ryu: 1778 - 1853). Shusaku did not like old Kenjutsu and preferred a simpler and more realistic approach. After creating new techniques, he invented equipment (Bogu) still used in kendo nowadays. The content of this DVD " Hokushin itto ryu "